Many people seek jaw slimming treatment with muscles relaxing injections. It is the same injections used as anti-wrinkle treatments. This is most commonly performed in women who think their jaw is too wide or square. The jaw slimming injections creates a more feminine oval or heart shape to the jaw. However, another common reason for jaw muscle injections is in men or women troubled by teeth grinding or clenching also known as bruxism. Face slimming injections are used to change your facial shape from a square jaw into a more oval shape, by treatment of the masseter muscle. Masseter injections relax lower facial muscles to create a jaw slimming effect. As well as addressing the shape jaw injections also treat bruxism or teeth grinding. How Do Face Slimming Injections Work? Masseter muscles are responsible for chewing and clenching of the jaw. The masseter enlarges in people with teeth grinding or bruxism because of overuse. Most commonly though, a square jaw it is genetic, with a higher incidence in some Asian ethnic groups. No matter what the cause, jaw slimming injections work by selectively weakening parts of the masseter muscle. 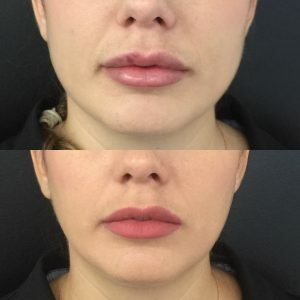 Who is suitable to have Masseter injections? Face slimming injections are appropriate for women and men over the age of 18 who are concerned about the shape of their jaw or have bruxism. As with any treatment, the results are individual. With jaw slimming treatments some people achieve dramatic softening of the square jaw appearance, while in others it is more subtle. However, it appears to work the best in people who have large masseter muscles from bruxism, excess chewing or teeth grinding. What should you expect with Jaw Slimming Treatments? Jaw slimming injections are an in-clinic procedure which takes less than 30 minutes. However, the first step is a free assessment with our doctors to assess your suitability for jawline slimming injections. In this free assessment, they will go over everything involved in treatment including any possible side effects. As with any muscle relaxing injections, there is a risk of tenderness, redness, bruising or swelling immediately after injection. The bruising can take up to 10 days to clear with makeup used as an interim measure. However, the other side effects tend to settle within two days. More severe side effects can occur if the muscle relaxants migrate into the surrounding masseter muscle. In this instance, chewing can be affected. It is for this reason that our doctors often break your treatments into two sessions and request you do not rub the area nor undertake any strenuous exercise for 4 hours after jaw injections. How Much Does a Square Jaw Treatment Cost? Face slimming injections typically require around $ 440. However, this varies enormously depending on the extent of muscle enlargement. Some people also need other face contouring treatments such as chin filler injections to assist in complimenting change to jaw shape. Other anti-wrinkle treatments, cheek filler or lip fillers may also be part of your treatment plan. For this reason, it is best to start with a free consultation with our doctors. That way you will have an accurate quote for your facial contouring treatment. Bruxism is the medical name for teeth grinding or clenching. It commonly occurs at night time when you sleep. Stress and anxiety tend to worsen bruxism. However, the most common underlying cause is unevenness in your mouth bite. Bruxism is often detected by your partner, or from headaches, face or jaw pain in the day. If left untreated it can result in worn teeth, disrupted sleep and recurrent headaches. 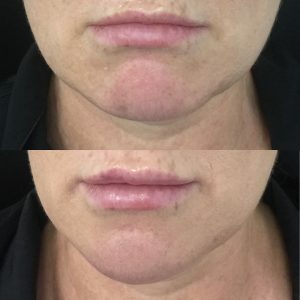 Masseter injections are a quick treatment with a progressive lessening of the teeth grinding over the following weeks. Correcting the underlying bite problem or use of dental guards are two different common ways to relieve the bruxism. However, fixing teeth grinding will not slim the jaw or change the facial shape. To achieve this, you will require jaw slimming injections to relax muscles. All our Doctors face slimming injections as well as treatment to ease bruxism and teeth grinding. Call Us Today On 3350 5447 For A FREE Consultation.